Our organization is involved in offering an extensive array of Air Hoists. These air hoists can be customized as per our precious customers specifications. Widely known for its features like perfect finish, less maintenance, durability and quality. To meet the variegated specifications of our renowned clients, we are engaged in trading, importing and supplying a wide range of Air Hoists. 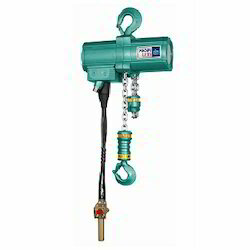 We are the leading entity in the industry, highly engaged in manufacturing the best quality range of Air Chain Hoist. 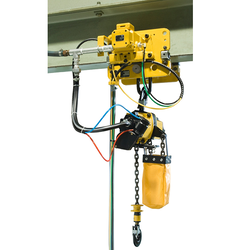 - We offer a unique range of vane-motor Air Chain Hoist that has a 100% duty cycle, anti-friction bearings and are remarkably compact. By keeping track of current market development, we are into offering an excellent range of Air Wire Rope Hoist.